 Thank you for visiting the Montgomery County Traffic Operations website. Our mission statement is “To provide quality Government leadership and service through fiscal responsibility, transparency and diligence”. Precinct 3, located in southeast Montgomery County, Texas, offers a unique blend of natural beauty, comfortable living, quality education, and strong socio-economic diversity. Precinct Three encompasses several communities such as The Woodlands, Oak Ridge, Imperial Oaks, Benders Landing, Spring Trails, and many others. The dedicated staff of Precinct 3 aim to provide the public with effective services they depend on, while ensuring we are good stewards of taxpayer dollars. We have developed many innovative programs, and with others throughout the county and region, we form a safe, thriving community. We are the traffic division, here to help you in your day to day commute and to upkeep our traffic system. Our team of trained and certified professionals are here to make sure our community’s traffic flows as it should. If there are any issues please feel free to contact us.